I had a great night playing for the patrons of the bar/lounge in the Aloft Hotel in Manhattan’s Financial District. I played a mix of covers and originals. Here was the setlist. Hope to be back there again soon! 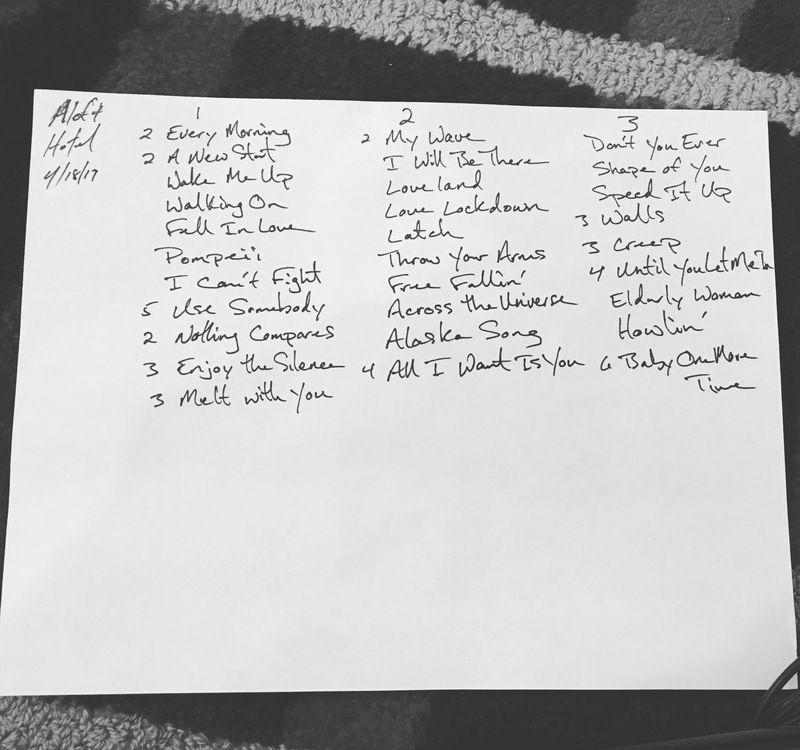 This entry was posted in performance, recap, setlists, solo and tagged acoustic, nyc, performance, recap, setlist, singer/songwriter on April 19, 2017 by josh.